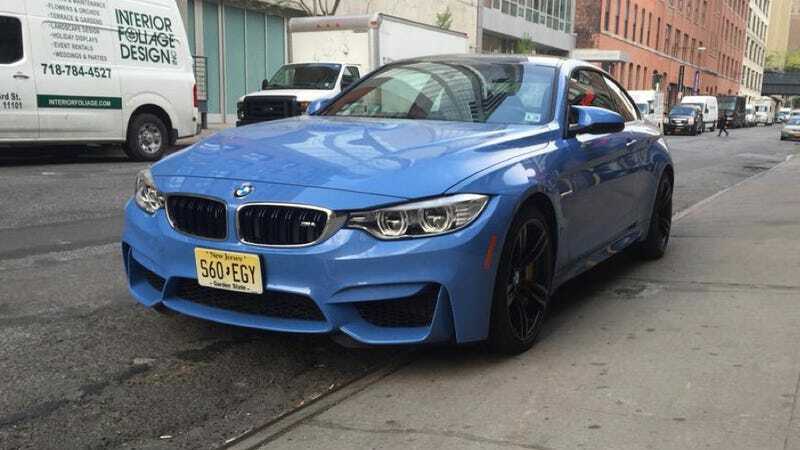 What Do You Want To Know About The BMW M4? This is the perfect M4. Why? Because it has carbon brakes, a manual transmission, cloth seats, and that’s it. What do you want to know about it? I’ve already driven a new M3 (and I rather liked it), but it was optioned up the ying yang with things I just didn’t want or need. This M4 ticks all the right boxes. Big brakes, row your own trans, and grippy seats. That’s what I really need. What do I like? Well, it looks great, it’s really fast, the gearshift is notchy and direct, and the brakes are forces of nature. What’s bad? The brakes are grabby around town, the manual auto rev matches, which I personally can’t stand, and the sound is fake. I’m tired of harping on that, but it’s true. I have the car for a few more days. Yes, it’s hitting the track at Lime Rock this Friday to see what’s what. What do you want to know about it?